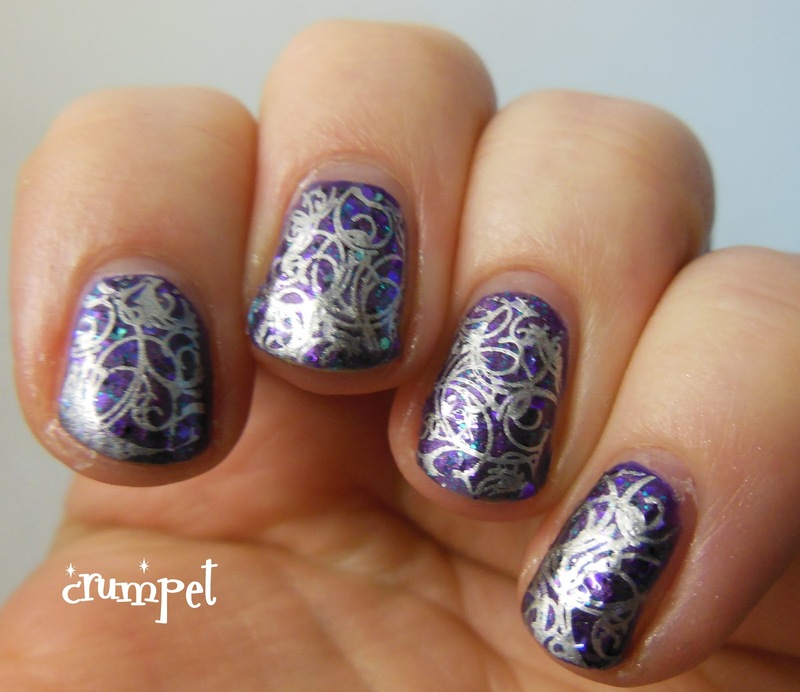 A simple little stamping pattern today, with a timely reminder that sometimes, it's AWESOME to stamp over glitter. 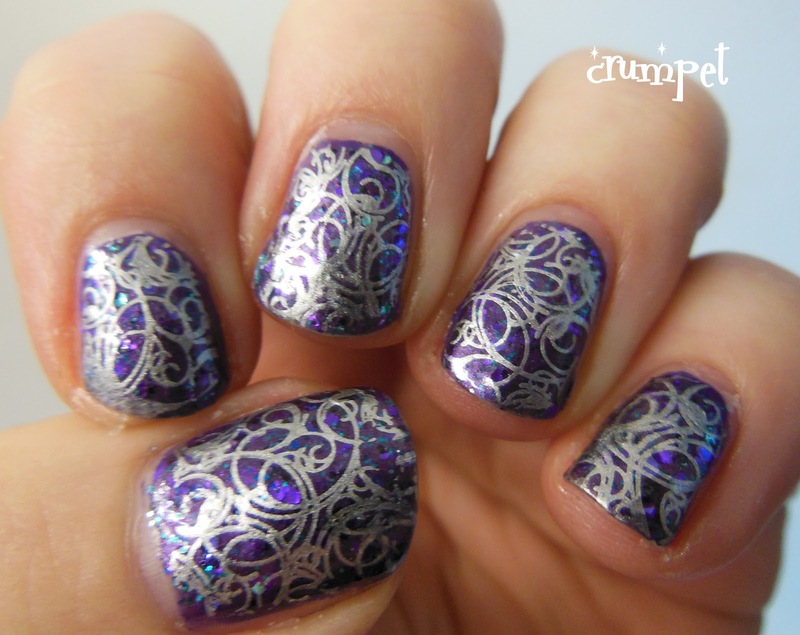 The base is Dollish Polish Deadly Nightshade, which you originally saw HERE, a superb purple, green and black soupy glitter. 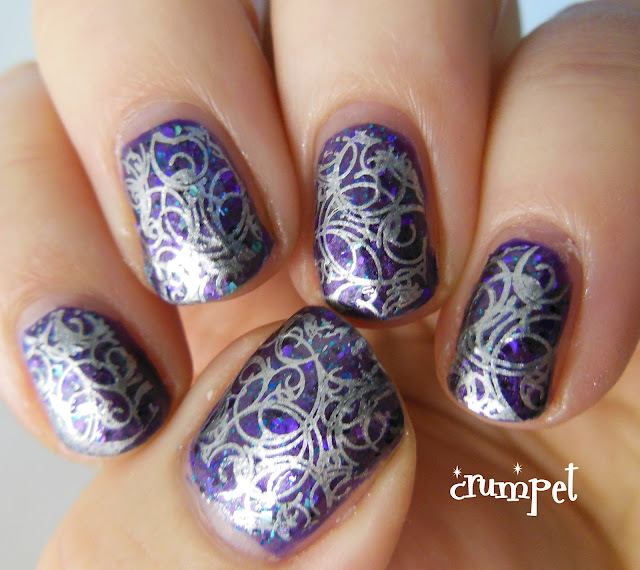 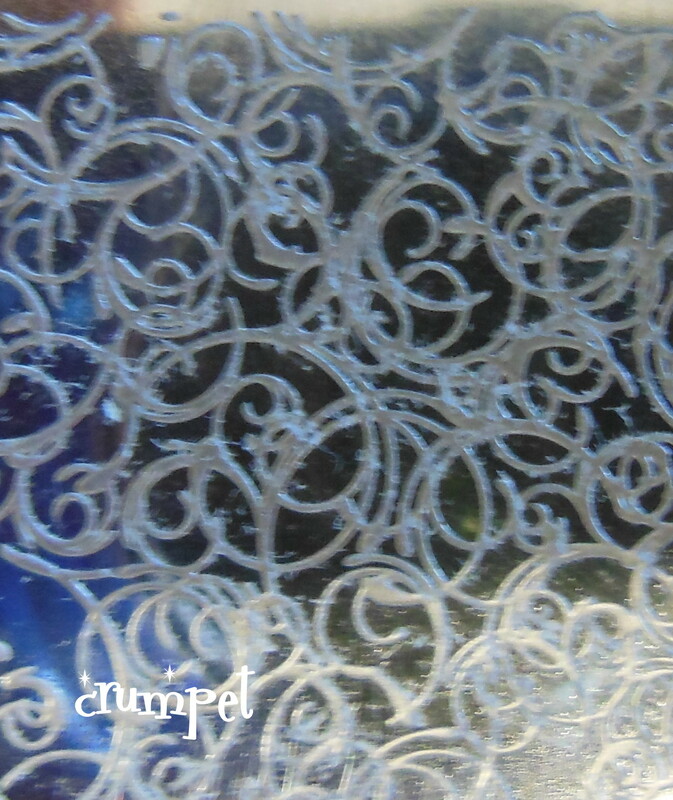 I then stamped over it using my favourite Barry M Silver Foil and this intricate pattern from LLC-A. The LLC plates are sold at Llarowe, and have some really interesting patterns on them. 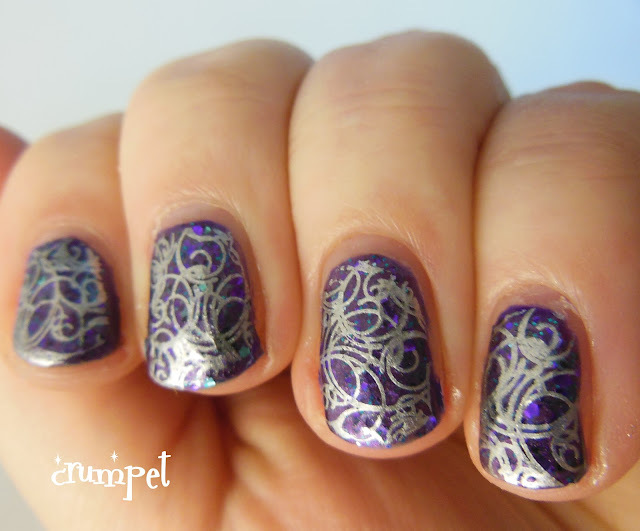 I think my favourite aspect of this mani is how in some photos you get an intense flash of purple as the light catches a hidden glitter. 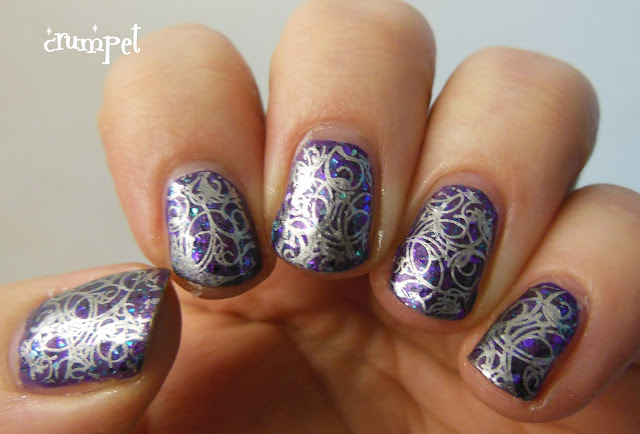 It isn't hard to stamp over a glitter, but it is important to select a pattern that allows the glitter to shine through.